What did the first collections of stars look like? Over the past century we have rapidly closed many gaps in our knowledge of the history of the Universe. We can see all the way back to the epoch of recombination, just 380,000 years after the Big Bang, thanks to the Cosmic Microwave Background (CMB). Some of the first galaxies, existing just a billion years after the Big Bang, are beginning to be revealed by the largest space and ground based telescopes. The time between these two epochs, however, is still out of reach. This is the epoch when the first stars formed, and gradually began to light up the universe. The first stars, confusingly named Population III, form out of gas containing no metals (Astronomy parlance for elements heavier than Hydrogen and Helium). This makes them different from stars that form subsequently (known as Population I and II. I know, it’s backwards. Blame Walter Baade), as these later stars form from gas containing the metals expelled by the trailblazing Pop III stars. Because Pop III stars form from metal free gas they have unique properties compared to stars in the universe today. One of the most striking features is their extreme mass, a hundred times the mass of our Sun in some theories. Such large stars subsequently have very short lifetimes, as they burn through their nuclear fuel rapidly. This in turn makes them difficult to detect; in the grand timeline of the universe, they blink in and out of existence. Until we get better observations one of the only ways to explore these objects, and test theories of their formation and evolution, is through simulations. The projected density of gas for the biggest galaxies at z = 9 (roughly 500-600 Myr since the Big Bang). Where there is a disc, the top row shows a top down view of it and the bottom row shows a side view. Each image is 100 parsecs on a side. Today’s paper is about one such simulation. The authors explored the kinds of environments that the first stars are born into, and what objects they evolve into. Unfortunately, simulating galaxies is difficult. They are large, and interact closely with their nearby environment, so you need to simulate a big volume. But ideally you would want to simulate each individual star too. Simulating this huge range of scales, from individual stars to clusters of galaxies, is currently impossible – no astrophysicist has access to a computer powerful enough – but the authors begin to push this limit by ramping up the resolution of their simulation so that each simulation particle represents a collection of stellar objects that are approximately 40 times the mass of the Sun. Previous simulations of small galaxy clusters could only resolve collections of tens of thousands of stars, so this is a big improvement. Each panel displays an identical view to Figure 1, but showing the projected density of stars. The disc is nowhere to be seen, and the stars extend to much greater distance than the gas. The authors look at the morphology of their simulated objects, and distinguish a few trends. The gas tends to form a disc inside a dark matter halo, and star formation is confined to the disc (see figure 1). The stars themselves though are often spread out in a wider, spherical arrangement (see figure 2). They attribute this to the fact that the stars, after eating up most of their surrounding gas in the disc, become ‘unbound’ – in other words, they are no longer held together by their mutual gravity, and begin to separate out. They then become bound within the larger dark matter halo, and the expansion stops. These objects look suspiciously like Ultra Faint Dwarf Galaxies in the local universe. The size of the spheroid can also be extended through mergers, which ‘dynamically heat’ the object, adding some kinetic energy to all the constituent stars. Certain objects tend to be smaller and more compact, containing only Pop II stars. They are triggered by nearby Pop III stars which, when they die, spread the metals they contain into the cosmos through powerful winds or supernovae. Gas polluted by these metals can cool efficiently, and therefore form Pop II stars easier. The authors suggest that these objects could be the first compact, bound stellar objects in the universe, but hesitate on what to call them – are they Globular Clusters, Ultra Compact Dwarfs, or something in between? And how many of these objects will actually survive to the present day, perhaps visible in our local galaxy as ‘fossil’ galaxies, relics directly from the first stellar objects? These simulations are only run up to a billion years after the big bang, so such questions will have to wait for bigger simulations in future that follow these objects to redshift zero. Another peculiar object the authors identify contains only Pop III stars. Since these stars are so short lived, they will rapidly die, leaving behind a dark, apparently empty halo, though it will in fact be full of the remnants of these monster stars. Hints of such objects were found last year (here’s a summary of the results, and here’s the original paper if you’re interested / feeling brave). One of the most pertinent and urgent reasons why we need to understand these objects is for the upcoming James Webb Space Telescope, which will begin to probe this era of first star formation. We need to understand the transition from Pop III to Pop II star formation in order to know how many Pop III stars JWST could expect to see. 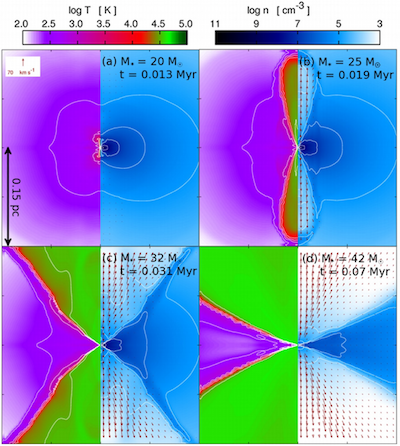 Many of the questions raised above could be solved by simulations with higher resolution. But the results are an exciting step towards a full understanding of the environment in which the first stars formed. The intriguing common origin of compact star clusters and ultra-faint dwarfs is worthy of further investigation, which the authors plan to publish shortly. It remains to be seen whether any relics of these first collections of baby stars have survived to the present day, and are kicking around our galactic backyard, waiting to be discovered. Were the First Stars Actually Hypermassive? 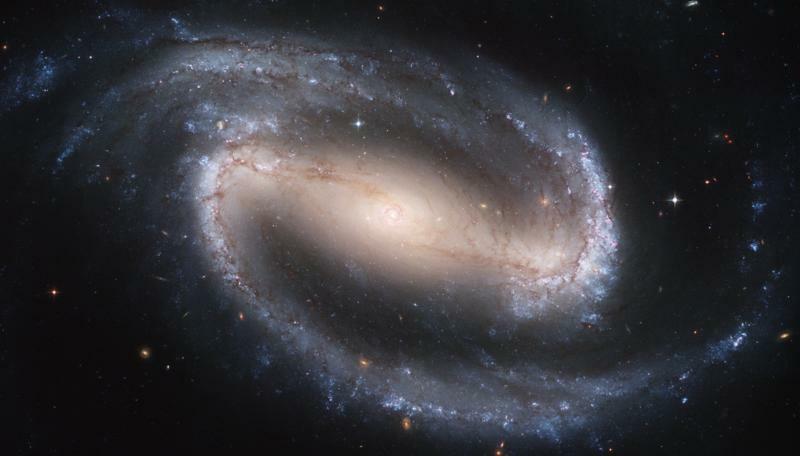 What happens in the vast voids between stars in galaxies like the Milky Way? 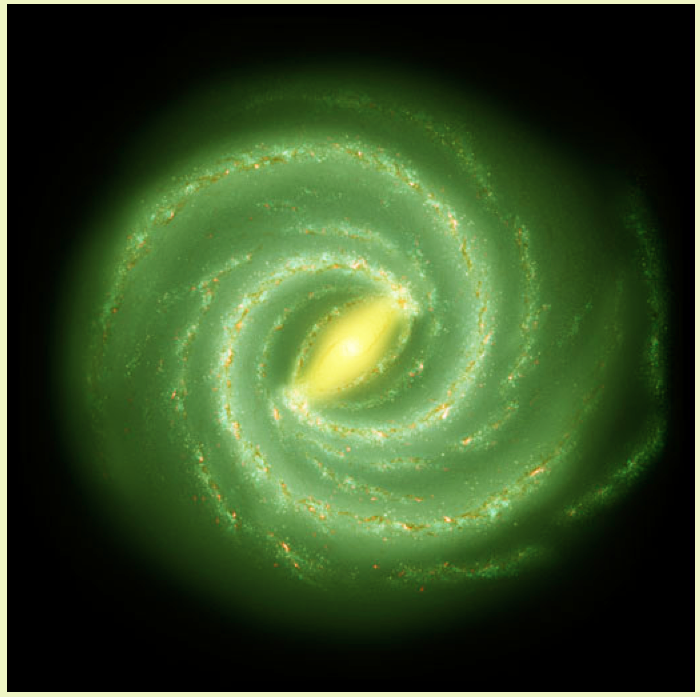 Going Green… On a Galactic Scale! Bars Rejuvenating Bulges?